'Tis the season to get Pink! 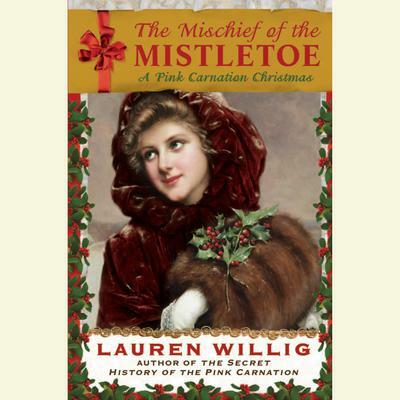 Lauren Willig's beloved Pink Carnation series gets into the holiday spirit with this irresistible Regency Christmas caper. Reginald "Turnip"Fitzhugh-often mistaken for the elusive spy known as the Pink Carnation- has blundered into danger before. But when he blunders into Miss Arabella Dempsey, it never occurs to him that she might be trouble. When Turnip and Arabella stumble upon a beautifully wrapped Christmas pudding with a cryptic message written in French, "Meet me at Farley Castle," the unlikely vehicle for intrigue launches the pair on a Yuletide adventure that ranges from the Austens'modest drawing room to the awe-inspiring estate of the Dukes of Dovedale, where the Dowager Duchess is hosting the most anticipated event of the year: an elaborate twelve-day Christmas celebration. Will they find poinsettias or peril, dancing or danger? Is it possible that the fate of the British Empire rests in Arabella's and Turnip's hands, in the form of a festive Christmas pudding?